Effective Public Transport is the need of every metropolitan city. For cities that are growing at a rapid pace, it becomes the most essential vehicle for pace of growth. Indore could easily be identified as the fastest growing metropolitan city in central India and the most important feature missing here was a good public transport service. The senior officials of the city identified the need and a meeting was called in the month of November 2005. All the decision makers of the city were present. The decision taken was to create a solution that was Reliable, Affordable and Safe. The task sounded very difficult, especially looking at the availability of funds and relevant infrastructure but it was the need of the city. Various systems were discussed and several examples were talked on. The result of all the brainstorming was to create a SPV that would take the task of providing the service required to support the rapid growth of the city. 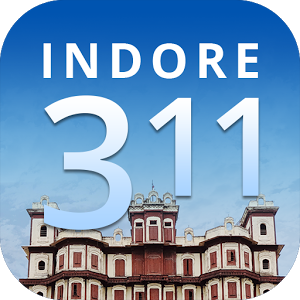 A company by the name of Indore City Transport Services Ltd. (ICTSL) was incorporated on December 01, 2005 with an objective to operate and manage the public transport system of Indore. Seven key people were identified as the Board of Directors. Indore Municipal Corporation and Indore Development Authority invested an authorized capital of Rs 25 Lacs jointly. The execution was the responsibility of Mr. Vivek Aggarwal (Collector, Indore). The modal decided was of public-private partnership. The model had to be designed keeping in mind the motto of 'Minimum Investment With Maximum Returns' for all parties involved in the business. Mr. Vivek Aggarwal (Collector, Indore) designed it with flawless technique and scientific approach. The financial model provides maximum profitability for the company as well as the operators. The operational aspect provides impeccable control for both the parties and fully computerized monitoring. Finalization of routes: A survey was carried out across the city to identify the major routes that would provide the maximum passenger traffic. Eighteen such routes were identified and finalized taking suggestions from the traffic department. Selection of Bus Model: Technical and Financial proposals were invited from various manufacturers of buses and Ultra-modern low-floor TATA Starbus was chosen to run on the streets of Indore. The beauty of the bus was a spectacle and the practicality provided is unmatchable. A pre-bid meeting was hosted on December 20, 2006 to explain the various aspects of business to the prospective bidders. The idea was presented and questions were answered. After clearing all the doubts of the operators, bids were invited on December 23, 2006. The operators actively participated in the bid process and we had the routes booked. This was it! The stage was set. Routes were in place, the operators were ready and the buses were booked. After the operators, some more people had to come on board to run the show. They were the marketers. Applications were invited January 17, 2006 from companies interested in taking the rights for advertising on the buses. Various advertisers participated and we had the highest bidder at Rs 25000 per bus per month. This should go as a record. The monthly pass system had to become the backbone of the financial modal. There were various options like Route Pass, Daily Pass, Student Pass etc. but the company decided to keep it simple and start with a single pass for all priced at Rs.250. This would enable the passenger to travel unlimited for a month on any bus on any route. The bids for issuing passes were called and on January 20, 2006 we had a company ready to setup 15 Instant Pass Centers across the city to issue these passes. Now we had all the people in place. The operators, the advertisers, the pass issuers, the drivers, conductors & administrative officers. The stage was set and 5 days were left. The buses were to be delivered, the advertiser's branding was left, the ticket issuing machines had to be programmed and the manpower had to be trained. The pass-issuing machine came from UK and it was all set to issue the first pass on 26th of January 06. Republic Day added more jubilation to the city. Yes it was here! The buses were flagged off, the ticketing machine issued the first ticket and it moved. This was a sight to watch. After 15 years Indore city had got a good public transport system. A system which was reliable and contemporary, affordable yet profitable, fashionable yet sustainable. The service got an overwhelming response from day one. A dream project was successfully implemented within 56 days. We thank all the people attached in any form with ICTSL for the implausible hard work and the people of Indore for supporting this dream project.